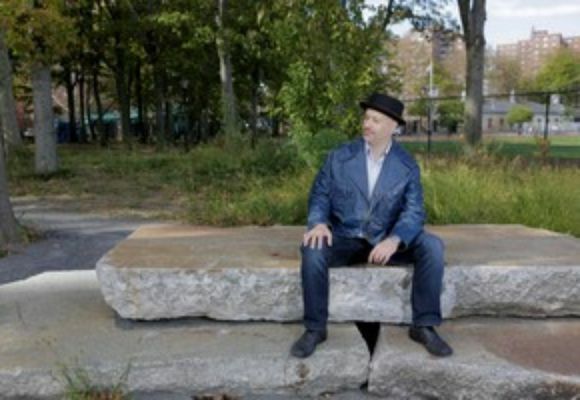 New York City organist/pianist Brian Charette has established himself as a leading voice in modern jazz. Charette is a Grammy-nominated, Hammond-endorsed artist who was just named the winner of the 2014 Downbeat Critics Poll in the "Rising Star: Organ" category. On his newest recording, Good Tipper, (Posi-Tone, 2014), Charette presents elegantly lyrical original music and fun, funky covers with a great trio featuring Will Bernard on guitar and Rudy Royston on drums. Charette was born in Meriden, Connecticut in 1972, and was introduced to music by his mother, Catherine. By the age of 17, he was playing with jazz luminaries Lou Donaldson and Houston Person. After graduating on the Dean's List from UConn in 1994 with a BA in Classical Piano Performance, Charette began touring Europe and was drawn to the culture and scene of Prague, Czech Republic, where he now lives half the time. Besides being a critically acclaimed composer and bandleader, Brian has worked with notable artists such as Joni Mitchell, Chaka Khan, Paul Simon, Cyndi Lauper, and many more. Charette is also an active author and educator, writing for Keyboard magazine, DownBeat, and the Czech magazine Muzikus. Brian teaches masterclasses all over the world and is on the faculty of the Czech Summer Jazz Workshop at Jesek Conservatory in Prague. He will release his first book, 101 Hammond B3 Tips, in fall 2014 through publisher Hal Leonard, and has a popular instructional video on the website, mymusicmasterclass.com.